Cirque du Soleil got its start in 1982 by performing on the streets of the small town of Baie-Saint-Paul in Canada where a band of colorful characters roamed the streets, striding on stilts, juggling, dancing, breathing fire, and playing music. 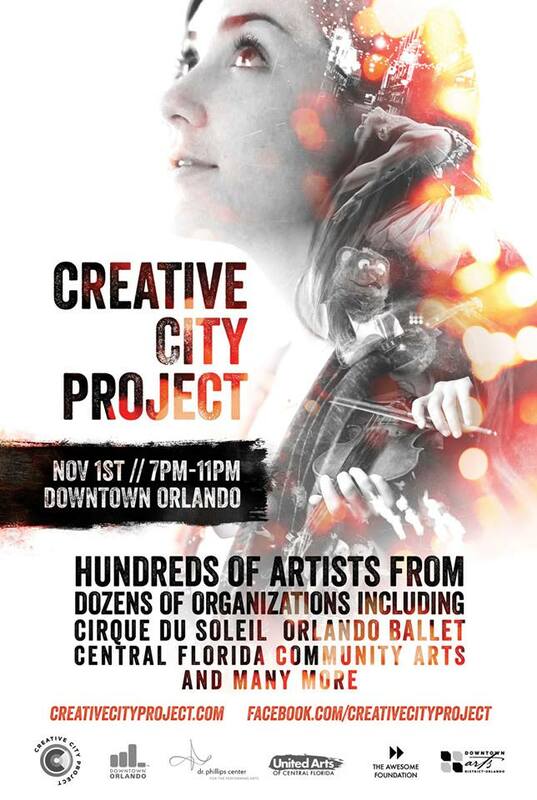 On November 1st, 2014, Cirque du Soleil will return to it roots by putting on a performance in Downtown Orlando at Wall Street Plaza along with many other artists for the 2014 addition of the Creative City Project. 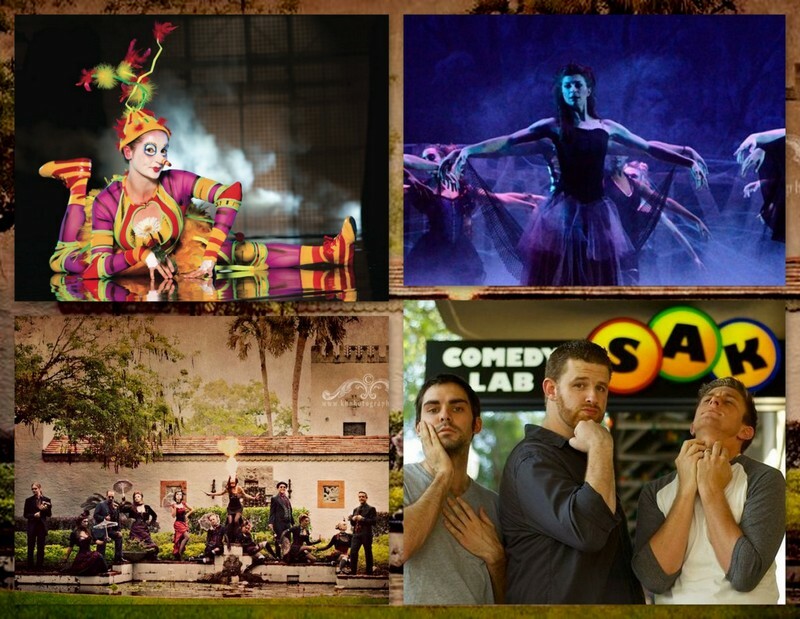 Now in it’s third year, the Creative City Project was created to raise awareness of the great arts and theater productions that are happening in the city of Orlando and using these instruments to help change the city of Orlando for the better. 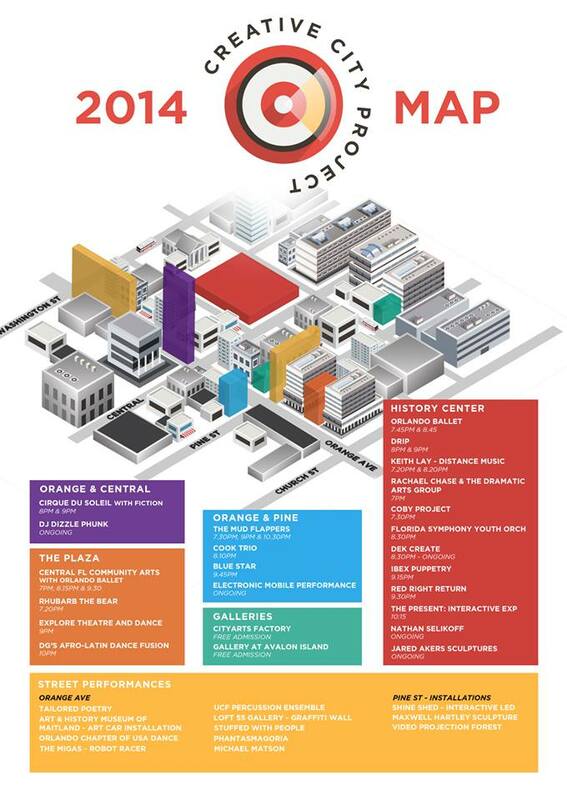 The artists above are just a fraction of the artists that will be participating on November 1st, 2014 around Downtown Orlando. Performances of participating artists begin at 7pm and continue throughout the night with some of bigger acts holding multiple performances. Click here to see all of the great events going on around Downtown Orlando from Orlando Local Guide. This entry was posted in Events and tagged annual events, arts, downtown orlando, october, theatre. Bookmark the permalink.